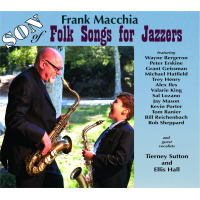 You never can tell what some jazz guys have up their sleeves. 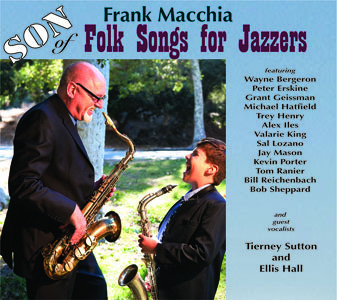 Los Angeles-based reedman Frank Macchia has worked extensively in television and movies, while maintaining a busy jazz career. 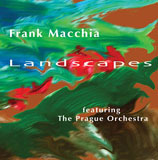 His two orchestral jazz outingsEmotions (2006) and Landscapes (2008)each garnered Grammy nominations, and he has also offered up two very distinctive jazz re-imaginings of traditional fare with Folk Songs for Jazzers (2010) and Son of Folk Songs for Jazzers (2011), all released on his own Cacophony Records. 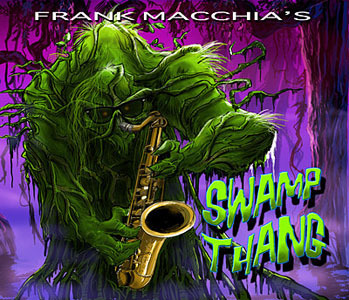 With Frank Macchia's Swamp Thang, the versatile saxophonist takes a trip into a sonic landscape of bayou boogie, blues, funk, and New Orleans second-line with joyful and freewheeling attitude, letting the good times roll wild and crazy. The leader's wailing sax is usually located dead center of a controlled chaos, with swirling calliope keyboards, snapping, stinging guitars and get-up-and-shake-it grooves. 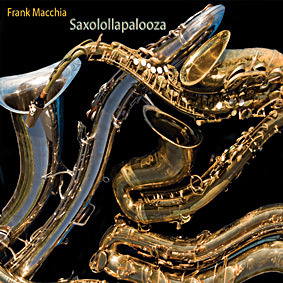 Opening this set of Macchia originals, Tom Lockett lays down a solid and beefy bass line inside the calamitous ensemble sound of "Discombobulated." 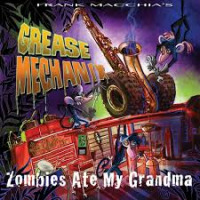 "Funky Grease Bucket" conjures images of the late super soul vocalist James Brown breaking into one of his get-out-of-my-way-Michael Jackson dance routines, with Macchia going guttural on baritone saxophone, inside brassy horns and breezy keyboards, over a backdrop of precision-slashing guitars. 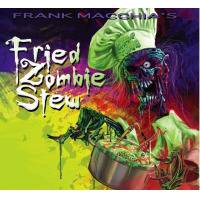 The title tune has a thick, murky rhythm and muscular, ominous mood, while "Chuggin'" is Macchia's entry into the "train song" genre, with the band charging down the tracks without a thought about applying the brakes, whistle screaming over the clamor of metallic wheels and machinery. This mostly wild ride closes out with "Upsy Daisy," the only stream-of-consciousness tune, featuring many meter changes and shifting grooves, and a cool and laidback tenor solo from Macchia, accompanied beautifully by the band in a sort of voice-of-gathering-sanity wind-down to a ferocious party-time set of sounds. Track Listing: Discombobulated; Funky Grease Bucket; Hopscotch; Shhhh! ; Mumbo Gumbo, Dumbo Gumbo; Butterfingers; Swamp Thang; Jungle Dance; Chuffin'; Sick Shuffle; Rhueben's Rhythmic Rhumba; Upsy Daisy. 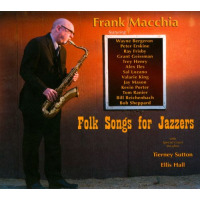 Personnel: Frank Macchia: saxophones; John Rosenberg: keyboards; Kenn Rosser: electric guitar; Eric Jensen: electric guitar; Tom Locket: electric bass; Frank Briggs: drums, percussion; Alex Iles: trombone; Wayne Bergeron: trumpet.